The Rocky Mountains of Canada, also known as Canadian Rockies, span a vast land from Alberta to British Columbia. This Canadian tour package allows you to explore the towns and cities around the Canadian Rockies, as well as discover the cities of Victoria and Vancouver or Seattle. You also get to visit specialty spots such as a bee farm, ginseng farm and winery. Vancouver and Seattle have a warm and temperate climate with Vancouver having an average temperature of 9.9 °C and annual rainfall of 1283 mm, and Seattle having a temperature of 10.9 °C and rainfall of 969 mm, while Kamloops has a steppe climate with average temperature of 8.6 °C and annual rainfall of 305 mm. Banff, Vernon and Salmon Arm have a cold and temperate climate with Banff having an average temperature of 1.8 °C and annual rainfall of 511 mm, while Vernon have a temperature of 6.1 °C and rainfall of 882 mm, and Salmon Arm’s temperature is 7.4 °C and rainfall 569 mm. Spring –April to May are months when there is an abundance of wildflowers at Vernon and Salmon Arm. Banff’s weather is unpredictable and everything from blizzards to warm weather can be experienced during this season. Summer –June to August is the period when the mountain lakes at Banff look their most brilliant.July is the hottest month of the year at Banff, Vernon and Salmon Arm. Autumn –September to October is when temperatures cool and beautiful fall colours arrive. Do pack warm layers to protect you from the cooling weather. Blizzards are common in Banff in October as it can quickly turn bitterly cold within the month. Winter –November to March are months when the temperatures become freezing. Do pack more layers and a winter jacket. January is the coldest month of the year. Spring – March to May are months when temperatures are mild with a mix of sunshine and rain. Summer – June to August is the peak tourist season, with July being the hottest month of the year. Kamloops may experience the occasional rainstorm with relatively low humidity. Autumn –September to November is a period of mild to cool temperatures. Early autumn may still be warm, but it can get rather cold by the end of autumn. It is recommended to pack more layers. Winter –December to February may be cold and snowy months, but Kamloops, Vancouver and Seattle differ in that Kamloops enjoy mainly sunny yet windy days, while Vancouver and Seattle have frequent rain showers which may hinder sightseeing plans. Do pack more layers and a winter jacket. January is the coldest month of the year. Upon arrival at Vancouver or Seattle airport, our local representative will meet and welcome you. The sightseeing tour of Vancouver city will showcase Vancouver Chinatown, the largest in Canada, Gastown’s Steam Whistle Clock, one of the few working ones in the world, Canada Place, an iconic national landmark housing world-class events and uniquely Canadian experiences, Stanley Park, a beautiful public park that attracts about 8 million visitors annually, and 2010 Olympics cauldron site among other highlights. As for the half-day sightseeing tour at Seattle city, you will view landmarks such as Seattle Chinatown and Space Needle (optional entry fee at own expense), an observation tower that has become the symbol of Seattle, before arriving in Vancouver in late afternoon. Have an early start from Vancouver and travel through Fraser Valley before enjoying lunch at Merritt and a tour of Lake Okanagan where monster watchers have claimed sightings of Ogopogo, the monster said to lurk in the waters of Lake Okanagan in Kelowna. End your day on a sweet note with a honey tasting session at a bee farm at Vernon. Proceed to Lake Louise Ski Resort, one of the largest ski resorts in North America, and board the optional fully- enclosed gondola to a height of 2,088 meters where you will be rewarded with spectacular views of Banff National Park. After lunch at Lake Louise’s downtown area, head to Lake Louise and Bow River before staying at Banff, a picturesque resort town with the Rocky Mountains in the backdrop. After breakfast, depart from Banff via Rogers Pass, a gap between the Hermit and Sir Donald ranges of the Selkirk Mountains. En route to Salmon Arm, drop by the Last Spike, a historic site where the last railway spike was driven into the ground to mark the completion of 3,000 miles of railroad tracks that connect the western and eastern Canada. After breakfast, enjoy a tour of a ginseng farm and winery. Ending your tour of the Rocky Mountains, you will return to Vancouver in the early evening. Set off in the early morning to take a BC Ferries’ ferry across Georgia Strait to Vancouver Island. Visit Butchart Gardens, ranked by USA Today, CNN and National Geographic as one of the top floral display gardens in the world. Enjoy a tour of Victoria city where you will see Victoria Chinatown, the oldest in Canada, Victoria Inner Harbour, one of the most beautiful harbors in the world, Centennial Square, a plaza built in celebration of the 100th anniversary of the establishment of Victoria city, Mile Zero, the starting point of Trans-Canada Highway, the world’s longest national highway, British Columbia Parliament Buildings and Beacon Hill Park. Free till departure transfer to Vancouver or Seattle airport for homebound flight. Travel from Shanghai, Nanjing, Wuxi, Suzhou, Hangzhou and back to Shanghai. Visit places like Pudong New Development Zone, Chenghuang Temple old street, Yangtze River Bridge and Ming Wall, Dr. Sun Yatsen's Mausoleum, Tai Lake, Ouyuan Garden, ViewingFish at Flower Harbor, Pedestrians Street Nanjing Road and many more. After lunch in the square, you will make the scenic transfer from Prague to the Slovakian capital, Bratislava – home to another glorious Old Town. Here you will pass through the heart of the city by coach, with views of the magnificent Bratislava Castle and St. Martin´s Cathedral. You will drive past the statue of one of Austria’s most famous sons, Wolfgang Amadeus Mozart, and also have some shopping time, before adding the Wiener Staatsoper (opera house) to your checklist of key Vienna buildings. Later, opt for dinner in the heart of the city or visit St. Stephen’s Cathedral, before taking a stroll in Stadtpark, which is known for its range of sculptures, including the famous gilded bronze statue of Johann Strauss II. In the evening, we recommend the option of attending a Viennese waltz concert, which will allow you the unforgettable experience of hearing the music of Mozart and Strauss in the place where it was composed. Next you will cross back into Germany and the Black Forest, the ancient fir-covered mountain range which is famous for its creepy folklore and mythical tales. Here you will see the beautiful Lake Titisee, where you can stop at one of the many lakeside cafés to enjoy some of the region’s best Black Forest cherry gateaux. Cuckoo clocks are made in Titisee, making this the ideal place to pick up a few souvenirs from the local shops and you’ll also get to see a demonstration of how these magical mechanisms work. You will head back to Frankfurt, where for some members of the group it will be time to say goodbye to new-found friends, while others will opt to stay another night in this major German city before picking up the Red Line tour the next day. Visit Edinburgh Castle, set on the stunning view of volcanic rock structures, where once inside we will admire the oldest royal crown and jewellery. Andcontinue this royal trail with a visit to Holyrood Palace, City Hall and the Royal Parks. After breakfast, begin a walking tour passing through London attractions: Big Ben, House of Parliament, Westminster Abbey, 10 Downing Street, Whitehall, St James’ Park, Buckingham Palace and River Thames. In the afternoon, we will visit the famous British Museum; enter St Paul’s Cathedral if we have enough time. You can also enjoy the scene of Tower Bridge and Tower of London while sitting on the coach. The Tower of London is a historic castle located on the north bank of the River Thames in central London. It has been played a prominent role in English history and served variously as a palace, an armoury, a treasury, a prison, the home of the Royal Mint, the home of the Crown Jewels of England and has been setting to many bloody battles among the British Monarchs. After breakfast, it is time to visit the nation’s acclaimed educational institution: Cambridge UniversityThe University of Cambridge, a majestic old University group includes: King’s College, Queens College, set among the most rural of bridges. We proceed our journey to York, a true medieval melting pot of Roman, Saxon and Viking culture. The city is mostly intact from the middle ages and shows the rustic side of Britain. We visit York Minster, the largest gothic cathedral in northern Europe. Then we will step up onto York city walls, dating back to Roman times. For those keen to discover the little grass-roots shops, there will be time to wander around. After breakfast, embark to Edinburgh is next destination on our list. We are expected to arrive in Edinburgh in the afternoon. Edinburgh is Scotland’s compact, hilly capital. It represents the best in Scottish heritage. Wooden barrows of gold single malt whiskey, checked kilts and Scottish bagpipes will make you grow fond of this warm and lively nation of quirky characters. Upon arrival, we first visit Edinburgh Castle, set on the stunning view of volcanic rock structures, where once inside we will admire the oldest royal crown and jewellery. We then continue this royal trail with a visit to Holyrood Palace, City Hall and the Royal Parks. Optional is a visit to JK Rowling’s Ivory Café where Harry Potter was authored, to enjoy a cup of coffee. This morning, we drive straight to Lake District, located in the west side of the north of England. On the way, we will stop in Gretna Green, where is a village in the south of Scotland famous for ‘runaway marriages’ began in 1754. After that we continue our journey to Lake District. The Lake District National Park is the most visited national park in the United Kingdom. Each year tens of thousands of visitors travel here to see the thousands of years of geological changes reflected in the intricate natural beauty, lakes, valleys, mountains, waterfalls and natural carved out planning. You can choose our optional to join boat cruise of Lake Windermere, or hop off to the World of Beatrix Potter Attraction. Next, we will drive to Manchester, a fashionable, social buzz and dynamic city. This city is not only well known for being a city of sport, the headquarters of Manchester United, but also England’s most productive industrial city. Football fans can enjoy a pilgrimage to the Manchester United Old Trafford grounds or catch a training game. Food lovers can pick a scrumptious restaurant in the nearby Chinatown. Our big anticipated outing for today must be the now infamous outlet – Bicester Village, is the home to more than 130 fashion and lifestyle boutiques, including Gucci, Armani, Prada, Calvin Klein, Dunhill, DKNY, Burberry, Paul Smith, Bally, Clarks and so on, each offers savings of up to 60%, all year round. Visit Modernisme Plaza of the City Hall of Valencia, Valencia’s Ancient City Gates and Valencia Cathedral, where the true Holy Grail is reserved in and visit the Alhambra, a Moorish citadel and palace, also known as the Red Palace. In the morning, we drive directly to the Spanish warm and charming coastal city of Barcelona. Upon arrival, we will visit the Columbus Monument and La Rambla, followed by SagradaFamília, which is a large Roman Catholic church in Barcelona, designed by Spanish architect Antoni Gaudí. Gaudí’s unique colour, fairy tale decoration is throughout the city and makes the place feel like a fantasy in the Artist’s mind. Then it’s on to Camp Nou, a football stadium in Barcelona, which has been also the home of FC Barcelona since its completion in 1957. We’ll also visit Estadi Olímpic Lluís Companys, the main stadium for the 1992 Summer Olympics located in Montjuïc, a large hill to the southwest of Barcelona which overlooks the city views. The remaining time is spent in the bustling Plaza Catalonia, where you can have free time and do some shopping. After breakfast, head to Spain 3rd largest city - Valencia. Valencia’s history has celebrated as the gateway to the Mediterranean. It’s commercially and culturally rich, with Moorish culture, Arab customs and foods all frequented in a cultural exchange. Such economic trade reformed Valencia to enjoy the prosperity and glory that other cities didn’t achieve. Although today’s Valencia is less prominent, it’s still the important city for large commerce exhibitions and trade fairs to be held in throughout the year. Upon arrival, we will visit Modernisme Plaza of the City Hall of Valencia, Valencia’s Ancient City Gates and Valencia Cathedral, where the true Holy Grail is reserved in. After tour the day is rounded off with a drive into Alicante. This morning we depart for the city of Granada on the plateau of the Andalusia province. This historic city has been ruled by Visigoth and Arab. It became the last stronghold for the Arab Dynasty while its eight-hundred-year-long rule in the Iberian Peninsula. In 15th century, King Ferdinand successfully expelled the Arabs and achieved to unite Spain. We will visit the Alhambra, a Moorish citadel and palace, also known as the Red Palace. Once arrived, the Moorish legacy might have caught your eye immediately. Generally referred to as the ‘golden age’ of construction and delicate structure, the dome shape is both stunning and admirable. We proceed our journey to the Sunny Coast area – Costa del Sol and arrive in the largest city along the coast of Málaga, where is birthplace of the famous Spanish painter, Pablo Picasso. The Costa de Sol is also famous for its golden sandy beaches and secluded villas. Today, we go northbound to the largest city of the autonomous community of Andalusia, Seville. Upon arrival, we visit Seville Cathedral, the largest Gothic cathedral and the third-largest church in the world. Its completion was back to the early 16th century and now the cathedral halls are dedicated as Royal Chapel, the burial place of the kings’ mausoleum for over a century, also the tomb of Christopher Columbus who discovered the New World as a credit to the great navigator. Next, we see the Alcázar of Seville, used to be a Muslim palace and the Spanish Royal Palace. The upper levels of the Alcázar are still used by the royal family as the official Seville residence, which is the oldest royal palace still in use in Europe and was registered in 1987 by UNESCO as a World Heritage Site, along with the Seville Cathedral. Then we walk through the Santa Cruz, Torre del Oro (the Tower of Gold) and Maria Luisa Park, here the 1992 World Expo was located. In Plaza de España (Spain Square), we can admire a crafted porcelain painting, detailing the history and elegance of old Spain. Later we will be back to the Lisbon city centre and visit Belém Tower and Jerónimos Monastery, both were classified a UNESCO World Heritage Site. Belém Tower played a significant role in the Portuguese maritime discoveries of the era of the Age of Discoveries. Jerónimos Monastery is one of the most prominent examples of the Portuguese Late Gothic Manueline style of architecture in Lisbon. You will pass through Marquis of Pombal Square and then stop at Rossio Square for some free time. Those who are interested in Portuguese custard tarts can taste the authentic ones at the century-old bakery. Today we will drive back to Madrid via Toledo, a World Heritage Site declared by UNESCO in 1986 for its extensive cultural and monumental heritage. This old city is located on a mountaintop, surrounded on three sides by a bend in the Tagus River, and contains many historical sites. By strolling across the city, overlooking the Alcázar of Toledo and visiting the grand structure of Toledo Cathedral, you will feel the bustling of Spain in the old time. Then take a well-earned rest as you sit back, catch a breath taking landscape of Spain and enjoy its rich palette of colours in natural surroundings while you are on the journey to Madrid. Enjoy seeing the historic attractions of provincial capital Reims, including the City’s Cathedral – a key national heritage site, where coronations of French kings took place from the 11th century onwards. Today across another European border into Germany. The first stop is historic Trier, Germany’s oldest city and the birthplace of Karl Marx. You will have the chance to see from the outside the house where the influential philosopher was born, which now functions as the Karl Marx Haus museum. Your walking tour then takes you into the centre of Trier; here you can look around the city’s impressive Cathedral, where the celebrated Holy Robe – said to be the tunic of Christ – is preserved and occasionally displayed. Trier is also known as ‘The Second Rome’ (Constantine served as an administrator here for 10 years), and significant legacies of the once-great empire remain today. The highlight is undoubtedly Porta Nigra, the best-preserved Roman city gate north of the Alps, which you will get to see and photograph. - Accommodation: 3* in Frankfurt or city nearby Park Inn by Radisson Frankfurt Airport Hotel / NH Morfelden or similar. Then it’s on to Cologne, where you will head inside the city’s glorious Gothic Cathedral, a UNESCO World Heritage Site. The rest of the afternoon is yours to explore Cologne further, to do a spot of local shopping or to simply relax with a suitably refreshing German brew. After lunch the day is rounded off with a drive into the Netherlands. After visiting a well-known Diamond Factory, where you will see the unique cutting techniques that have been practiced here since the 16th century, you can take an optional hour-long pre-dinner canal cruise, which is a great way to discover more about this unique European city. After disembarking you will walk to one of the city’s grandest areas, Dam Square, where the Royal Palace is located and the Queen’s birthday celebrations take place. You will have photo opportunities here, free time for shopping or further sightseeing, and then round the day off with dinner. From mid-March to mid-May the tour will also visit Keukenhof Garden, a 32 hectare seasonal exhibition of beautifully coloured and scented displays of spring flowers - most notably millions of tulips. Continue head south across the border into Brussels, the Belgian capital and political centre of the European Union. On the way, the tour stops to see the distinctive Atomium Monument, a cell-shaped structure of stainless steel spheres and tubes built for the 1958 World’s Fair. In the centre of Brussels itself an orientation tour will call in at the exquisite Grand Place, as well as seeing the famous impish Manneken Pis statue. After some free time, during which you can try some mouth-watering Belgian delights. Then from Brussels it’s south again across the French border and on to the bright lights of Paris. The next two days in Paris you enjoy guided tours around one of the world’s most celebrated cities. Your Parisian adventures get off to a spectacular start with a drive along the famous Champs-Élysées to the Place de la Concorde, which played such a key part in the French Revolution. You will also get to see the iconic Arc de Triomphe here too, the imposing monument that sits near the western end of the avenue and commemorates the fallen of the revolution and Napoleonic wars. You will take in another significant historical building next as you head to L’Hôtel National des Invalides, where Napoleon’s tomb is located, followed by a photo stop at the most legendary of all Paris’s icons: the Eiffel Tower. You can then take a leisurely cruise along the river Seine, a great sightseeing option that offers splendid views of iconic Parisian landmarks, including Notre-Dame Cathedral and Pont Alexandre III. Finally, you will travel on the coach out through the Parisian suburbs to the splendid Palace of Versailles, the vast regal château that was the residence of the royal family until the start of the revolution in 1789. Today the palace is another popular Parisian attraction. In the evening, you can enjoy one of our optional Paris evening shows. The second day of your Parisian experience begins with a visit to the Louvre, one of the world’s greatest art museums. Here you will set your eyes upon some of history’s most famous masterpieces, including the Venus de Milo, Winged Victory of Samothrace (also called Nike of Samothrace), and Leonardo da Vinci’s Mona Lisa. Take a walk in the galleries and enhance your experience of more than hundreds of works in just a few hours. For some members of the group it will be time to say goodbye to new-found friends, while others will opt to stay another night in this French city of delights before picking up the Green Line tour the next day. Spend the morning with the local guide as you explore Venice, the most magical of cities. Begin with a waterbus ride to San Marco Island, a memorable crossing of the lagoon that gives you a real taste of the city’s charm as you approach the dreamy spires and distinctive waterside buildings. Once on the island you will be led around some of Venice’s best-known locations, beginning in the Piazzo with the Basilica di San Marco, a stunning piece of Byzantine architecture. You will also see the legendary Bridge of Sighs, which appears on many a postcard or picture of Venice and connects the old prison to the interrogation rooms in the Doge’s Palace. Afterwards you will have a chance to see some traditional Venetian craftwork at close quarters with a demonstration by Murano glassblowers; their exquisite creations make excellent souvenirs. Of course, the ultimate Venice activity is to ride through the warren of waterways on a gondola, and for most people this optional excursion is a must. Step aboard, relax and enjoy this once-in-a-lifetime experience. Transfer to Rome in the afternoon. Next you will see the famous Trevi Fountain, the lavish Baroque showpiece where people flock to throw coins into the water – an action which is said to ensure that you will return to the city again one day. After lunch, take a step even further back in time as you visit Italy’s unrivalled Roman relics. Discover the Coliseum, built in AD 72, a highly recommended must-see destination in Rome. History comes to life as you imagine yourself witnessing gladiatorial combat inside the spectacular amphitheatre, or alternatively you can walk at your leisure around the outside to admire the facade of this ancient wonder. After the Coliseum, get up close to the nearby Arch of Constantine, which dates back to the fourth century AD. Then spend some further free time enjoying Rome, sampling the rich and creamy delights of “gelato” Italian ice cream. Next, you can choose to visit the magnificent Basilique Santa Maria degli Angeli e dei Martiri near Piazza della Repubblica or do a bit of shopping at the Mitsukoshi Department store before transferring to Arrezzo in the late evening. Next you can see a demonstration of the traditional craft of leather working at close quarters in a local workshop, and you will also have the opportunity to purchase some of the high-quality leather items for which the city is famous. From here you will enjoy a guided walk around Florence’s many highlights, including the Ponte Vecchio over the Arno, the Piazza del Duomo and Campanile Tower. You will pass the Uffizi Gallery, which contains one of the most notable art collections in Florence. You will have free time to see the city further, to shop or to watch the world go by from a streetside cafe, before travelling on to your next destination, Pisa. Here you are free to wander, but be sure to have your camera ready to get a shot of the iconic Leaning Tower, the famous bell tower in the ‘Square of Miracles’, which also contains the centuries-old Cathedral and Baptistry. A breathtaking drive along one of Europe’s most famous stretches of Mediterranean coastline awaits as you say arrivederci to Italy and head for Monaco. This small principality, enclaved in France is chic and beautiful, home to the famous Formula 1 Grand Prix. A walking sightseeing tour here takes you to the grand Prince’s Palace, where you will have some free time to soak up the refined atmosphere, before continuing on to view the 1920s Courthouse, the cliffside Oceanographic Museum, and the Cathedral, where Grace Kelly is buried. We then travel a little further to visit the famous Fragonard Perfume Factory. Here you will be taken on a fascinating guided tour around this working factory. Next head to Nice, where you will stop for lunch to sample some excellent local cuisine and warm-hearted hospitality. Your journey continues to Cannes, where many a movie star has enjoyed the sweet smell of success. Be sure to take the opportunity to snap some photos of the Palais des Festival, home to the city’s annual international film festival, before transferring to Avignon. Take a well-earned rest today as you sit back and enjoy great views of the changing rural charms of the French countryside on the journey north to Paris, where the Green Line tour finishes. For some members of the group it will be time to say a fond farewell to new friends upon arrival back in the capital, while others may choose to extend their European adventure with another night in the capital and then continue on with the Red Line tour the following day. Apart from visiting the famous hospots in New Delphi, we will like to take you on a Khajuraho Tour where you will visit both Western & Eastern temples, Varanasi, bathing Ghats, illuminated Ganga Aarti ceremony. In addition, experience Vanarasi Dawn Boat Cruise and Tour after a visit to the visit to the Ghats. Find out more about each unique package now! Experience a train ride from Jingtong Railway Station, passing by Pingxi Railway Station, en route to Shifen Railway Station. Release a sky lantern at quaint Shifen, and immerse in old world charm at Jiufen. Marvel at the range and quality of ceramic products at Yingge Ceramics Old Street and end your day with a visit to Dongpu Hot Spring (bring own swimsuit and cap). Taipei’s average annual temperature is 22.0 °C, while the average annual rainfall is 2574 mm.Miaoli’saverage temperature is 21.8 °C, while the average rainfall is 1778 mm.Taichung’s average temperature is 22.1 °C, while the rainfall is 1700 mm.Tainan’s average temperature is 23.9 °C, while the rainfall is 1823 mm.Kaohsiung’saverage temperature is 24.2 °C, while the rainfall is 1738 mm. Nantou’s average temperature is 22.5 °C, while the rainfall is 1825 mm. Yilan’s average temperature is 22.1 °C, while the rainfall is 2684 mm. Experience a train ride from Jingtong Railway Station, passing by Pingxi Railway Station, en route to Shifen Railway Station. Partake in the tradition of releasing a sky lantern at quaint Shifen, and immerse in old world charm at Jiufen as you explore its narrow alleyways. Marvel at the range and quality of ceramic products at Yingge Ceramics Old Street. End your day with a visit to Dongpu Hot Spring (bring own swimsuit and cap). Start your day at Alishan National Forest Recreation Area where you will visit Sister Ponds, Three Brothers, Four Sisters and Shouzhen Temple. End your day at Long Yun Leisure Farm. Explore the sprawling Fo Guang Shan Buddha Memorial Center, a cultural, religious and educational complex, and Meinong Hakka Village before visiting Pearl Center and Dream Mall. Round off your day with a visit to Liuhe Night Market, one of the most popular night markets in Taiwan. Shop for travel mementos at an aboriginal product shop and have fun at Formosan Aboriginal Culture Village. Take photographs at the impressive Sun Moon Lake and Wenwu Temple before heading to Feng Chia Night Market. Visit the iconic Martyrs’ Shrine and a handicraft center. Explore the scenic Fisherman's Wharf and Danshui Old Street before feasting at Shilin Night Market, often considered to be the most famous night market in Taiwan. Tour the highlights of Yangmingshan - 2nd Parking Lot, Zhuzihu and Xiaoyoukeng. Sample Taiwan’s Hakka culture at Hakka Compound and explore the ecologically vibrant Gaomei Wetland and famous Feng Chia Night Market. Taipei’s average annual temperature is 22.0 °C, while the average annual rainfall is 2574 mm.Hsinchu’s average temperature is 21.8 °C, while the average rainfall is 1801 mm.Taichung’s average temperature is 22.1 °C, while the average rainfall is 1700 mm.Nantou’s average temperature is 22.5 °C, while the average rainfall is 1825 mm. Yilan’s average temperature is 22.1 °C, while the average rainfall is 2684 mm. Start your tour at Yangmingshan with visits to 2nd Parking Lot, Zhuzihu and Xiaoyoukeng. Sample Taiwan’s Hakka culture at Hakka Compound and explore the ecologically vibrant Gaomei Wetland and famous Feng Chia Night Market, one of the largest night markets in Taiwan. Take photographs at the colourful Rainbow Village before going to Tainan where you will visit Beimen Visitor Center, Beimen Crystal Church, a grocery store and Anping Old Street. Proceed to Kaohsiung to visit Fo Guang Shan Buddha Museum, Vigor Kobo – famous for its pineapple cakes, Pier-2 Art Center and Liuhe Night Market. Enjoy a tranquil boat ride at the shimmering Sun Moon Lake. Head to an aboriginal product shop and Taiwanese tea center then visit Puli Brewery. Round off your day with a visit to Yi Chung Street Night Market. Try fruit picking (at own expense) at Taichung, and set off to Yilan to have a buffet lunch at Evergreen Resort before relaxing at the resort’s spa (bring own swimsuit and cap). Enjoy the experience of staying a night at Toucheng Leisure Farm. Experience Toucheng Leisure Farm’s rural farm life, and proceed to Fulong Station for a cycling experience at Old Caoling Tunnel Bikeway. Tour Jiufen, a quaint mountain town known for its narrow alleyways that are full of delights. Shop for your travel mementos at a handicraft center and spend time at Taipei 101 Shopping Mall (excludes the observatory). Taipei 101 is a landmark skyscraper in Taiwan and one of the tallest buildings in the world. End your day by shopping and feasting till your heart’s content at Raohe Night Market, one of the oldest night markets in Taipei. This West Coast tour package showcases the fun Los Angeles, quaint Solvang, pristine San Simeon, scenic San Francisco and stunning Yosemite. Have fun as you visit Los Angeles’ Disneyland, Disney California Adventure Park and Universal Studios among others. Get charmed at Solvang and San Simeon as you view Danish-style architecture and Hearst Castle. See San Francisco’s signature spots such as Golden Gate Bridge on the comprehensive city tour. Over at Yosemite, be ready to be awestruck as you see some of its prominent sights. Spring – March to May are months when the temperatures are mild and there are fewer crowds, which is perfect for walking around. Yosemite sees a transition with lower grounds in full bloom and higher grounds covered in snow. Summer – June to August is peak tourist season for San Francisco, Yosemite and Los Angeles. It is warm in San Francisco, Yosemite and Los Angeles, with San Francisco experiencing chilly, damp fog, Yosemite brief afternoon thunderstorms and Los Angeles heavy smog. Autumn – September to November are months when crowds get lesser, and Yosemite and Los Angeles get a reprieve from the summer heat. San Francisco is warmer in autumn than in summer, though it is recommended to pack a few layers as bayside breezes can get chilly. Winter – December to February are months when the cities get the most rainfall and experience cool weather. San Francisco may feel really chilly because of its fog and cold winds, while Yosemite experiences snow from November to April. Spend your day at Disney California Adventure Park, a theme park filled with fun and adventure. Get in on all the exciting action as you explore 7 sensational lands which are packed with evergreen entertainment shows and seasonal attractions to feed your appetite for adventure. Be it racing through the desert with the characters from Cars, swimming under the sea with Ariel or journeying through the world with Guardians of the Galaxy, you can cover them all at this surreal place where the exciting characters of Disney, Pixar and beyond call home. Enjoy a scenic ride along the Pacific Coast Highway as you make your way to Solvang, a city known for its Danish heritage, Danish-style architecture and plethora of wineries. Continue on to the pristine San Simeon to visit Hearst Castle (excludes ticket) where you will marvel at the legendary collection of paintings, sculptures, decorative art and antiques, as well as the striking swimming pools and lush gardens. Embark on a tour of San Francisco and get a comprehensive overview of this fabulous city. Start with a visit to the iconic Golden Gate Bridge, a photographer’s dream, especially when there is a little fog to add a tinge of mystery. The other San Francisco’s landmarks you will see are Fisherman’s Wharf, Lombard Street, San Francisco Chinatown, Palace of Fine Arts, Saint Mary’s Cathedral, Cliff House, Twin Peaks and San Francisco City Hall. You also have the option to join the San Francisco Bay Cruise. Drive through picturesque vineyards, orchards and farmlands to Yosemite National Park where you will be rewarded with its unparalleled beauty. A UNESCO World Heritage site known for its towering waterfalls, impressive cliffs, spectacular gorges and lush forests, it attracts more than 5 million visitors per year. Catch some of the park’s prominent sights such as Yosemite Falls that has a drop of 2,425 feet, El Capitan, the the granite monolith soaring almost 3,600 feet above valley floor, and Tunnel View, an extraordinary vista. After check-out from the hotel, you will stop by Grauman’s Chinese Theater/ Kodak Theater and Hollywood Walk of Fame en route to Universal Studios Hollywood, which is designed to let visitors experience the movies in a whole new way. With TV shows and movies always in production, you never know which celebrity you might spot or bump into. Transfer to Los Angeles airport for homebound flight. In addition to seeing the dramatic beauties created by Mother Nature such as Grand Canyon, Antelope Canyon, Horseshoe Bend, Bryce Canyon and Zion Canyon on this tour, you will also visit the Chocolate Factory, Cactus Garden and Lenwood factory outlets where you can purchase famous brands at the lowest prices. Thrilling rides and fun live shows also await you at Disneyland and Universal Studios Hollywood. Las Vegas and Laughlin have a desert climate, with Las Vegas’ average temperature being 20.75 °C and annual rainfall 106 mm, and Laughlin’s temperature being 23.05 °C and rainfall 162 mm. Kanab has a steppe climate with average temperature of 12.65 °C and annual rainfall 395 mm, while Los Angeles’ climate is warm and temperate with average temperature of 17.65 °C and annual rainfall 474 mm. Spring – March to May are months when the temperatures are mild and there are fewer crowds at Las Vegas and Los Angeles, which is perfect for walking around. Laughlin starts getting hot in May. As temperatures at Las Vegas, Laughlin and Kanab drop significantly at night, it is recommended to prepare a few light layers. Summer – June to August is peak tourist season for Los Angeles, Laughlin and Kanab. It is warm with heavy smog in Los Angeles. Las Vegas and Laughlin get really hot in summer, with July and August seeing more rainfall. Autumn – September to November are months when crowds get lesser, and Las Vegas, Kanab and Los Angeles get a reprieve from the summer heat. Winter – December to February are months when the cities get the most rainfall and experience cool weather. Las Vegas sees a high influx of visitors due to its many holiday parties. Take a drive through the arid Mojave Desert to Lake Havasu City where London Bridge, the largest antique in the world that was previously spanning River Thames in London, is currently located at. Proceed to Laughlin, a town along the banks of the pristine Colorado River best known for gaming, entertainment and water recreation. Appreciate the dramatic beauty of the Grand Canyon in the morning before joining a compulsory optional jeep tour to explore the surreal Antelope Canyon, a slot canyon that is every photographer’s dream. Continue on to visit Horseshoe Bend, which offers one of the most spectacular views of the Colorado River. 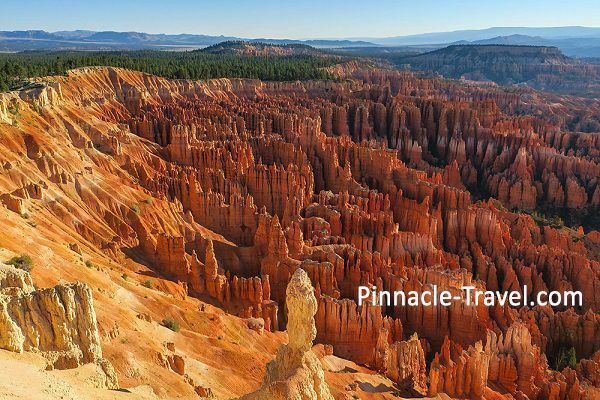 Have a morning tour of the expansive Bryce Canyon National Park where rock pillars of various shapes and textures formed by erosion will leave you in awe. Take an afternoon drive through Mt. Carmel Junction to Zion National Park, where you will view steep red cliffs and other amazing sights of nature. Drive past Virgin River Gorge to end the day at Las Vegas, the gambling capital of the world, where you can even join an optional night tour. Before leaving the desert, spend the morning on a tour of the delightful Chocolate Factory and the beautiful Cactus Garden featuring various species of plants that can be found in the desert. En route to return to Los Angeles, the entertainment capital of the nation, make a pit stop at the awesome Lenwood factory outlets where you can purchase merchandise from the famous brands at the lowest prices. 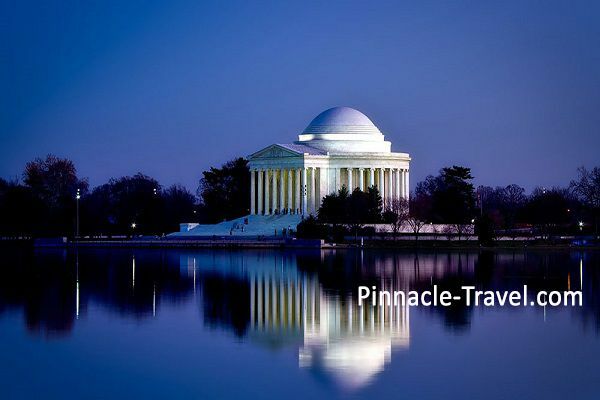 This East Coast tour package covers New York, Washington and Niagara. Not only will you visit the iconic sights such as Empire State Building, Rockefeller Center, Wall Street, Central Park, Times Square, White House and Lincoln Memorial, you will also enjoy boat rides to see Statue of Liberty and Niagara Falls. A holiday with a comfortable pace, you will have time to explore Washington and Niagara at your own leisure. New York has a humidsubtropical climate, with anaverage temperature of 12.85 °C and annual rainfall of 1174 mm. Washington has a dry-summer subtropical climate, with anaverage temperature of 13.15 °C and annual rainfall of 1036 mm, while Niagara has a warm summer continental climate, with average temperature of 8.65 °C and rainfall of 887 mm. Summer – June to August is the peak tourist season, though it is hot and humid. This is the best time to see Central Park at its most vibrant; flowers are in full bloom and people are sunbathing, walking and enjoying horse carriage rides. Autumn – September to November bring about the colors of autumn, and in New York city, Central Park is a popular spot to enjoy the fall foliage. When visiting Niagara, it is recommended to prepare clothing that can be layered because temperatures can be unpredictable. End of November also marks the period of US’ most popular sale; Black Friday. Winter – December to February are the cold months. New York is covered in snow from December to January, Washington from January to February, while Niagara from December to March. During winter, Niagara Falls may freeze and the cold will be biting due to the wind-chill. Sidewalks will be icy, so it is recommended to have proper footwear. Start your tour by paying a visit to Statue of Liberty, probably US’ most signature landmark. This famous sculpture was a gift of friendship from the people of France to the people of United States. Ride a ferry to Liberty Island for a spectacular view of New York’s city skyline, and for another amazing view of the city, pop by the 86th floor of the Empire State Building. The other iconic New York sights you will visit are Rockefeller Center, a national historic landmark in the center of midtown Manhattan, Wall Street, home to New York Stock Exchange and other important financial institutions, Ground Zero, also known as World Trade Center which had suffered the September 11 attacks, Central Park, the iconic urban park in Manhattan that draws about 40 million visitors annually, Times Square, a famous intersection known for hosting the huge annual New Year’s celebration, United Nations and Trump Tower. Travel to Washington via a domestic flight or train. Proceed to check-in to hotel and spend the rest of day at your leisure. You can explore the many museums and memorials that Washington, the capital city of US, is known for. Enjoy a comprehensive understanding of Washington by visiting the White House, the official residence and office of the President of US, Lincoln Memorial, a grand national monument built in honor of US’ 16th President, Abraham Lincoln, Capitol Building, home of the US Congress, Smithsonian National Air and Space Museum, which draws more than 7 million visitors annually, National World War II Memorial, a monument dedicated to the Americans who served, supported as well as fell in World War II, Pentagon, headquarters of US Department of Defense, Washington Monument, an obelisk built in honor of US’ 1st President, George Washington, Supreme Court and Union Station. Travel to Buffalo via a domestic flight or bus to view the famous Niagara Falls, made up of 3 thundering waterfalls that straddle the border between Canada and US; Bridal Veil, American and Horseshoe Falls. Board Niagara’s signature boat, Maid of the Mist, which will take you close to the stunning falls and around the 2 largest falls of the 3, American Falls and Horseshoe Falls (seasonal). Return to the hotel to freshen up after your damp ride. At night, you can also visit the falls at your own leisure to see them lit up beautifully. Free till departure transfer to Niagara airport for homebound flight. 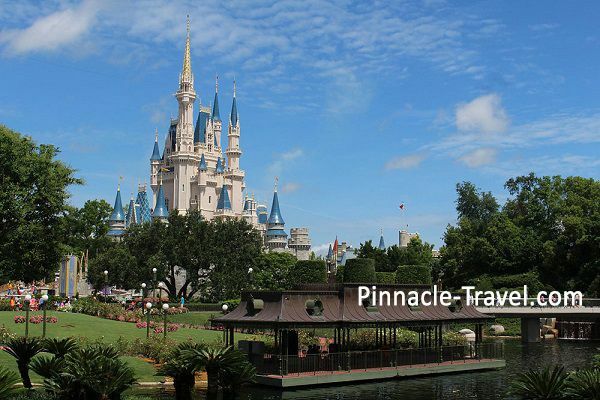 This Florida tour package is all about maximizing fun and unleashing the kid in you. Thrilling rides and fun live shows await you at Walt Disney World, Epcot Center and SeaWorld. 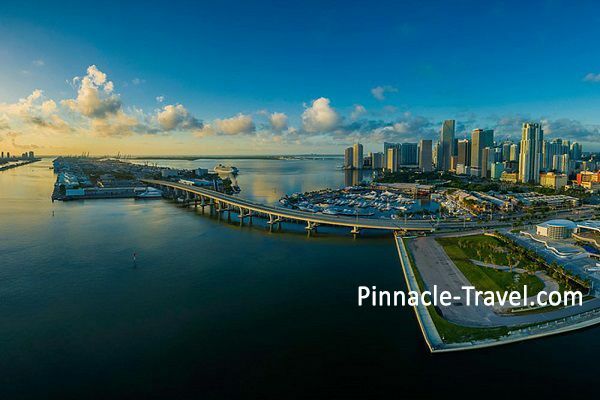 During the guided Miami city tour, you will discover Miami’s vibrancy of life onshore and offshore as the package includes a Biscayne Bay by Boat Tour which will cruise by Biscayne Bay, a shallow estuary. You will also have time to explore Miami at your own leisure. Orlando has a warm and temperate climate, with anaverage temperature of 22.95 °C and annual rainfall of 1351 mm, while Miami has a tropical climate, with anaverage temperature of 25.05 °C and annual rainfall of 1573 mm. Spring – March to May is the best time to visit Orlando and Miami, as the weather is most pleasant which is perfect for walking around. Summer – June to August are months when the cities are hot, humid and rainy. It also marks the start of the hurricane season. June is the wettest month, while July is the warmest month. Autumn – September to November are months when hurricanes remain a possibility, but there is less rainfall and lower temperatures. End of November also marks the period of US’ most popular sale; Black Friday. Winter – December to February are months when the cities enjoy warm winters and little rainfall. The evenings can get quite cool, so it is recommended to pack a light jacket. January is the driest and coolest month. Upon arrival at Orlando airport, our local representative will meet and welcome you. Blast deep into the mysterious outer space, travel the world and touch the future at Epcot Center where a wide array of attractions and live shows - from rocking musicians to a stunning fireworks showcase - await. Touch or feed wild animals, and get in on all the exciting action that SeaWorld offers. Experience Manta, the only flying roller coaster of its kind in the world, brave the rapids on Infinity Falls or ride Mako, the hyper coaster that is known for high speed, deep dives and thrills at every turn. Thrill seekers and animal lovers will love every moment here. Travel to Miami via a domestic flight or bus. Proceed to check-in to hotel and spend the rest of day immersing yourself in the wonderful energy this city is known for. You can explore Miami’s famous South Beach and Little Havana. You can also revel in its trendy night life and creative arts scene. Have a comprehensive understanding of Miami on this city tour as you will see Ocean Drive, a must-visit vibrant beachfront street lined with colorful art-deco buildings, Lincoln Road, a pedestrian-only road with an open-plan outdoor mall, Design District, a sleek and modern area housing many upscale arts and culture shops, Coconut Grove, a warm and laidback neighborhood by Biscayne Bay known for its relaxed sidewalk cafes and shops, Little Havana, a vibrant neighborhood known for its heavy Cuban influence and always having fun festivals such as the Calle Ocho Festival, Central Station/ Bayfront Park, Collins Avenue, Midtown Miami and many more. You will also cruise along Biscayne Bay, a shallow estuary, on the Biscayne Bay by Boat Tour. Free till departure transfer to Miami airport for homebound flight. This West Coast private tour package showcases the exhilarating Las Vegas, fun Los Angeles, and scenic San Francisco. Starting at Las Vegas, you will view landmarks such as Fountains of Bellagio and Fremont Street, and watch the Chris Angel Show. Over at Los Angeles, you will visit iconic sights such as Hollywood Walk of Fame and Universal Studios Hollywood, while you will see signature places such as Golden Gate Bridge and enjoy a scenic Bay Cruise at San Francisco. Not only do you have time to explore Las Vegas and San Francisco on your own, you also have an option to join the Grand Canyon tour. Las Vegas has a desert climate, with an average temperature of 20.75 °C and annual rainfall 106 mm, while Los Angeles’ climate is warm and temperate with average temperature of 17.65 °C and annual rainfall 474 mm, and San Francisco’s climate is dry-summer temperate with average temperature of 14.05 °C and annual rainfall 600 mm. Spring – March to May are months when the temperatures are mild and there are fewer crowds, which is perfect for walking around. As Las Vegas’ temperatures drop significantly at night, it is recommended to prepare a few light layers. Summer – June to August is peak tourist season for Los Angeles and San Francisco with many fun festivals for visitors to participate in. It is warm in Los Angeles and San Francisco, with Los Angeles experiencing heavy smog and San Francisco chilly, damp fog. Las Vegas gets really hot in summer, with July and August seeing more rainfall though showers are often short-lived. Autumn – September to November are months when crowds get lesser, and Las Vegas and Los Angeles get a reprieve from the summer heat. San Francisco is warmer in autumn than in summer, though it is recommended to pack a few layers as bayside breezes can get chilly. Winter – December to February are months when the cities get the most rainfall and experience cool weather. Las Vegas sees a high influx of visitors due to its many holiday parties. San Francisco may feel really chilly because of its fog and cold winds. Upon arrival at Las Vegas airport, your tour guide will meet and welcome you. After check-in to hotel, embark on a city tour to experience Las Vegas’ signature dancing Fountains of Bellagio, the Pirate Ships at Treasure Island, Downtown Vegas, Fremont Street where over 12 million lights and pulsating music create an electric show, and Stratosphere Tower, the tallest freestanding observation tower in US where you will enjoy a 360-degree view of this exhilarating city. Join the optional Grand Canyon tour where you will have a photo stop at Hoover Dam and visit Skywalk, a cool glass bridge that gives you a thrilling view of the stunning canyon. Proceed to enjoy an exciting Chris Angel Show at Luxor Hotel in the evening. After breakfast, take a 4.5-hour ride to Los Angeles. Upon arrival at the vibrant entertainment capital of the world, enjoy a tour with visits to the iconic Hollywood, Hollywood Walk of Fame, the most famous sidewalk bearing stars that honor celebrities, Beverly Hills, an affluent area that is home to many Hollywood stars, Grauman’s Chinese Theater, the most sought-after theater for movie premieres in Hollywood, Sunset Strip, one of Los Angeles’ most famous neighborhoods, Rodeo Drive, a famous shopping street known for housing many luxury brands, Chinatown and Madame Tussauds Hollywood. Have a tour of the legendary film studio and theme park, Universal Studios Hollywood. Known for its innovative rides and behind-the-scenes tour, Universal Studios Hollywood is designed to let visitors experience the movies in a whole new way. With TV shows and movies always in production, you never know which celebrity you might spot or bump into. After breakfast, proceed to travel about 8 hours to San Francisco. Upon check-in at hotel, explore San Francisco’s colorful city life at your own leisure. Be it taking a stroll by the bay, walking the hills or museum-hopping, there is something for everyone. Enjoy a comprehensive overview of San Francisco as you embark on a tour of the city with visits to the iconic Golden Gate Bridge, Twin Peaks, two hills offering spectacular views of the Bay area, Lombard Street, a steep street that is known for being the most crooked street in the world due to its many hairpin turns, Pier 39, a popular shopping area built on a pier, Nob Hill, one of San Francisco’s most iconic neighborhoods known for its historic Victorian houses and Gothic- style cathedral, Union Square, the city’s vibrant commercial hub, Cable Car, Civic Center, Fisherman’s Wharf and Palace of Fine Arts among other highlights. You also get to enjoy a scenic Bay Cruise. This West Coast tour package showcases the scenic San Francisco, exhilarating Las Vegas and fun Los Angeles. Starting at San Francisco, you will see signature places such as Golden Gate Bridge, Lombard Street and Nob Hill. 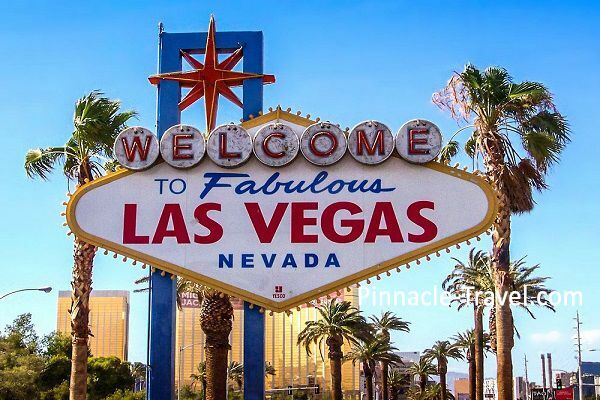 Over at Las Vegas, you will view landmarks such as Fountains of Bellagio and Fremont Street, and watch the Chris Angel Show, while you will visit iconic sights such as Hollywood Walk of Fame and Universal Studios at Los Angeles. You will also have time to explore Las Vegas at your own leisure. San Francisco’s climate is dry-summer temperate with average temperature of 14.05 °C and annual rainfall 600 mm, while Las Vegas has a desert climate, with an average temperature of 20.75 °C and annual rainfall 106 mm, and Los Angeles’ climate is warm and temperate with average temperature of 17.65 °C and annual rainfall 474 mm. Summer – June to August is peak tourist season for San Francisco and Los Angeles with many fun festivals for visitors to participate in. It is warm in San Francisco and Los Angeles, with San Francisco experiencing chilly, damp fog and Los Angeles heavy smog. Las Vegas gets really hot in summer, with July and August seeing more rainfall though showers are often short-lived. Autumn – September to November are months when crowds get lesser, and Las Vegas and Los Angeles enjoy a reprieve from the summer heat. San Francisco is warmer in autumn than in summer, though it is recommended to pack a few layers as bayside breezes can get chilly. Winter – December to February are months when the cities get the most rainfall and experience cool weather. San Francisco may feel really chilly because of its fog and cold winds. Las Vegas sees a high influx of visitors due to its many holiday parties. Upon arrival at San Francisco airport, our local representative will meet and welcome you. Enjoy a comprehensive overview of San Francisco as you embark on a tour of the city with visits to the iconic Golden Gate Bridge, Twin Peaks, two hills offering spectacular views of the Bay area, Lombard Street, a steep street that is known for being the most crooked street in the world due to its many hairpin turns, Pier 39, a popular shopping area built on a pier, Nob Hill, one of San Francisco’s most iconic neighborhoods known for its historic Victorian houses, Union Square, the city’s commercial hub famous for the manual cable car turnaround, Cable Car, Civic Center, Fisherman’s Wharf and Palace of Fine Arts among other highlights. Take a morning domestic flight to Las Vegas. Proceed to check-in to hotel before embarking on an evening city tour to experience Las Vegas’ signature dancing Fountains of Bellagio, the Pirate Ships at Treasure Island, Stratosphere Tower, the tallest freestanding observation tower in US, Downtown Vegas, and Fremont Street where over 12 million lights and pulsating music create an electric show. Have a laidback day at Las Vegas where you can visit the free shows and explore the many shopping malls. Take a domestic flight to Los Angeles. Proceed to enjoy a tour of this vibrant entertainment capital of the world by visiting the iconic Hollywood, Hollywood Walk of Fame, the most famous sidewalk bearing stars that honor celebrities, Beverly Hills, an affluent area that is home to many Hollywood stars, Grauman’s Chinese Theater, the most sought-after theater for movie premieres in Hollywood, Sunset Strip, one of Los Angeles’ most famous neighborhoods, Rodeo Drive, a famous shopping street known for housing many luxury brands and Chinatown for some good bargains. Have a tour of the legendary film studio and theme park, Universal Studios. Known for its innovative rides and behind-the-scenes tour, Universal Studios Hollywood is designed to let visitors experience the movies in a whole new way. With TV shows and movies always in production, you never know which celebrity you might spot or bump into during your visit. Free till departure transfer to Los Angeles airport for homebound flight. 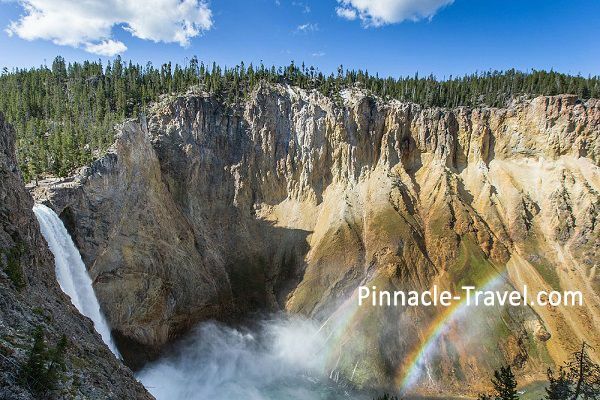 In addition to witnessing the stunning beauty of nature at Yellowstone National Park and enjoying panoramic views of Sunlight Basin, Dead Indian Pass and Clarks Fork Canyon, you will get to immerse yourself in the American Wild West town of Cody. The uniquely western history of Cody will come to life on a guided trolley tour. You will also have a two-day unlimited access admission pass to all 5 museums of the Buffalo Bill Center of the West. The true taste of Wild West comes in the form of a wild mustang safari where you never know what is going to happen. Cody has a warm summer continental climate, with anaverage temperature of 7.6 °C and annual rainfall of 235 mm. Spring – April to May are months when weather is unpredictable, with May being the wettest month of the year. Summer – June to August are months when the temperatures are great for hiking. Due to many festivals happening in July, there is also a high influx of visitors. Autumn – September to November offer mild weather, plenty of wildlife-watching opportunities and reprieve from the summer crowds. Winter – December to March are months when there is heavy snowfall and temperatures in the day are usually freezing. Upon arrival at Cody airport, our local representative will meet and welcome you. Crossing Chief Joseph Scenic Highway en route to Yellowstone National Park, you will pass through the wide and beautiful Hayden Valley and Lamar Valley, and visit Mammoth Hot Springs and Grand Canyon of the Yellowstone. Known as the “Serengeti of North America”, you will see an abundance of natural wildlife such as big horn sheep, wolves, bison, elk, river otters, black bears and grizzly bears on this loop. Highlighting many of the geothermal features that showcase the power and volatility of the volcanic Yellowstone Caldera, this scenic tour of the Lower Loop will bring you to the iconic sites such as Fishing Bridge Area, Yellowstone Lake, Old Faithful, Grand Canyon of the Yellowstone, Fountain Paint Pots and West Thumb Geyser. Let the uniquely western history of Cody come to life on the 22-mile Best of the West Trolley Tour. Proceed to enjoy a two-day unlimited access admission pass to all 5 museums of the Buffalo Bill Center of the West. Get on the true American wild mustang safari where you never know what is going to happen. Every tour to the McCullough Peaks Wild Mustang Area is unique. It is wildlife at its finest when you could see the mustangs playing, fighting, galloping or relaxing. Discover why the locals regard Chief Joseph Scenic Highway as the “Top of the World Highway” when you take in the stunning panoramic views of Sunlight Basin, Dead Indian Pass, and Clarks Fork Canyon on this picturesque day tour. Free till departure transfer to Cody airport for homebound flight. For your tour to Vietnam, make the most of it by combining a tour package to Hanoi with a Ha Long Bay cruise tour and a tour to Saigon, also known as Ho Chi Minh. This tour package not only showcases Hanoi’s city highlights, but also brings you to Ha Long Bay to admire the spectacular picture of tiny islets and limestone pillars topped with forests and visit Thien Cung Cave. You will also take a domestic flight to Ho Chi Minh where you will visit Cu Chi and explore Mekong Delta. Explore Ho Chi Minh Mausoleum (closed on Mondays, Fridays, October and November), and visit next door’s Ho Chi Minh’s house on stilts and One Pillar Pagoda. Proceed to West Lake’s Tran Quoc Pagoda, and Bat Trang Pottery Village (open on Mondays, Wednesdays and Fridays). Visit Vietnam Museum of Ethnology (open on Sundays, Tuesdays, Thursdays and Saturdays), Temple of Literature and Quoc Tu Giam. Enjoy the peaceful waters and Ngoc Son Temple at Hoan Kiem Lake. Explore Hanoi’s Old Quarter where you can shop for some travel mementos. Upon arrival at the sprawling Ha Long, take a boat and cruise through the emerald waters of Ha Long Bay, Northern Vietnam’s top tourism spot. Admire the spectacular picture of tiny islets and limestone pillars topped with forests, and visit Thien Cung Cave, a cave with intricate stalactite and stalagmite formations. After breakfast, spend your time at leisure before transferring to the airport for your domestic flight to Ho Chi Minh, also known as Saigon. Upon check-in at hotel, proceed to explore Ho Chi Minh’s vibrant city life at your own pace. Embark on a tour of Cu Chi, a network of over 200 km of tunnels known for their vital role in the war and now a popular attraction. Watch a short video to learn how they were constructed before exploring the tunnels which were functioning underground cities in their heyday. Complete the experience by sampling tea and cassava (guerilla’s food during the war). Explore My Tho, where you will visit Vinh Trang Pagoda, take a boat ride to view the stilt houses, fruit plantations and fishing villages along the river and have lunch at Tortoise Islet’s orchard garden. Continue on a boat ride on a hand-rowed sampan to An Khanh. Savor seasonal fruit and honey tea while basking in the locals’ performance of Southern Vietnamese folk music. Drop in a visit to a family business where you may taste coconut candy and observe the pastoral life. Free till departure transfer to Ho Chi Minh airport for homebound flight.